Ah, the comma. Of all the punctuation marks in English, this one is perhaps the most abused and misused. And it’s no wonder. There are lots of rules about comma usage, and often the factors that determine whether you should use one are quite subtle. But fear not! Below, you’ll find guidance for the trickiest comma questions. While a period ends a sentence, a comma indicates a smaller break. Some writers think of a comma as a soft pause—a punctuation mark that separates words, clauses, or ideas within a sentence. 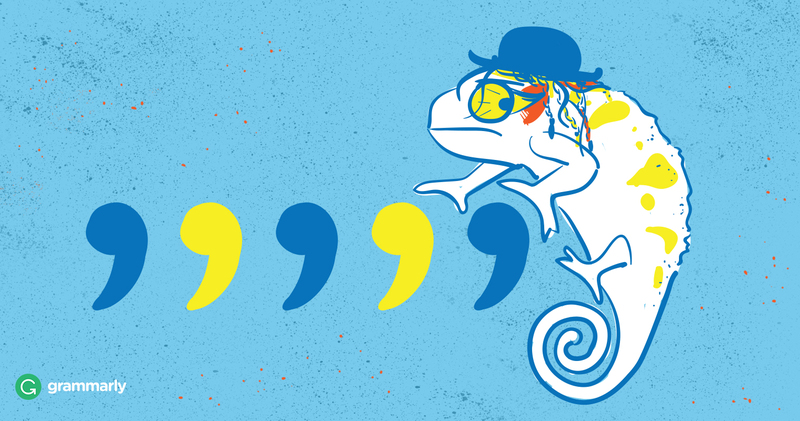 Here’s a tip: Commas can be tricky, but they don’t have to trip you up. Bloggr’s writing assistant can help you make sure your punctuation, spelling, and grammar are tip-top on all your favorite websites. Try Bloggr for free. With few exceptions, a comma should not separate a subject from its verb. My friend Cleo, is a wonderful singer. Writers are often tempted to insert a comma between a subject and verb this way because speakers sometimes pause at that point in a sentence. But in writing, the comma only makes the sentence seem stilted. My friend Cleo is a wonderful singer. The things that cause me joy, may also cause me pain. The things that cause me joy may also cause me pain. Navigating through snow, sleet, wind, and darkness, is a miserable way to travel. Navigating through snow, sleet, wind, and darkness is a miserable way to travel. Don’t separate two nouns that appear together as a compound subject or compound object. Cleo, and her band will be playing at Dockside Diner next Friday. Cleo and her band will be playing at Dockside Diner next Friday. Cleo will wear a sparkly red blazer, and high heels. Cleo will wear a sparkly red blazer and high heels. When a subject or object is made up of two items and the second item is parenthetical, you can set off the second item with commas—one before it and one after it. But you don’t need a comma when you’re simply listing two items. You get a compound predicate when the subject of a sentence is doing more than one thing. In a compound predicate that contains two verbs, don’t separate them with a comma. Cleo will sing, and play the banjo. Cleo will sing and play the banjo. This mistake is most common when the predicate is made up of long verb phrases. I meant to buy tickets for Cleo’s show, but ran out of time. I meant to buy tickets for Cleo’s show but ran out of time. Cleo spotted the man who entered the diner, and waved. In the sentence above, you need the comma to make clear that it was Cleo who waved, not the man. When you want to join two independent clauses, you need a conjunction or a semicolon. A comma alone isn’t strong enough to join them. This kind of mistake is called a comma splice. We were out of milk, I went to the store. You can fix a comma splice by adding a conjunction or changing the comma to a semicolon. We were out of milk, so I went to the store. We were out of milk; I went to the store. Or, you can simply write the two independent clauses as separate sentences. We were out of milk. I went to the store. Here’s a tip: Want to make sure your writing always looks great? Bloggr can save you from misspellings, grammatical and punctuation mistakes, and other writing issues on all your favorite websites. Try Bloggr for free. Grabbing her umbrella, Kate raced out of the house. Confused by her sister’s sudden change in mood, Jill stayed quiet. When an adverbial phrase begins a sentence, it’s often followed by a comma but it doesn’t have to be, especially if it’s short. As a rule of thumb, if the phrase is longer than about four words, use the comma. You can also use a comma with a shorter phrase when you want to emphasize it or add a pause for literary effect. After the show, Cleo will be signing autographs. Behind the building there is enough space to park two limousines. Without knowing why, I crossed the room and looked out the window. In 1816 life was very different. Suddenly, an angry black cat sprang from the shadows. Before eating the family said grace. Before eating, the family said grace. Don’t use a comma before “than” when you’re making a comparison. This box is lighter, than that box. This box is lighter than that box. Hardcover books are more expensive, than paperback books. Hardcover books are more expensive than paperback books. Interrupters are little thoughts that pop up in the middle of a sentence to show emotion, tone, or emphasis. A parenthetical element is a phrase that adds extra information to the sentence but could be removed without changing the meaning of the sentence. Both interrupters and parenthetical elements should be set off with commas. The weather I was happy to see was beginning to clear. The weather, I was happy to see, was beginning to clear. Geoff’s cooking skills if you can call them skills left something to be desired. Geoff’s cooking skills, if you can call them skills, left something to be desired. It was sadly the last day of camp. It was, sadly, the last day of camp. Mary unlike Anne is very organized. Mary, unlike Anne, is very organized. A question tag is a short phrase or even a single word that is added to the end of a statement to turn it into a question. Writers often use question tags to encourage readers to agree with them. A question tag should be preceded by a comma. These willow trees are beautiful, aren’t they? You didn’t actually write a 600-page vampire romance novel, did you? I know, right? When addressing another person by name, set off the name with commas. Mom, I can’t find my shoes! Cleo, there’s someone on the phone for you. Hello, Chester. 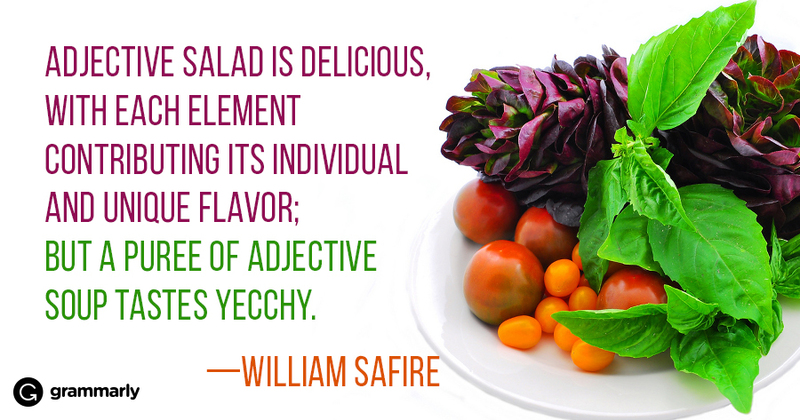 An appositive is a word or phrase that refers to the same thing as another noun in the same sentence. Often, the appositive provides additional information about the noun or helps to distinguish it in some way. If you could remove the appositive without changing the meaning of the sentence, it is said to be nonessential and should be set off with commas. If the appositive is necessary, it’s said to be essential and it should not be set off with commas. My mother, Angela, is a wonderful cook. The painter, one of the city’s most promising young artists, began showing his work in galleries before he was sixteen. Chocolate, my favorite treat, always makes me feel better after a bad day. Edgar Allan Poe’s poem The Raven is a classic. Alec Baldwin’s brother Stephen is the most underrated Baldwin. The detective Sherlock Holmes is one of literature’s greatest sleuths. When writing a date in month-day-year format, set off the year with commas. July 4, 1776, was an important day in American history. I was born on Sunday, May 12, 1968. If you are using the day-month-year format, however, commas are unnecessary. Applications are due by 31 December 2016. On Tuesday, April 13, at three o’clock, there will be a meeting for all staff. Please join us on Saturday, June 14, 2010, for the marriage of Annie and Michael. When you are referencing only a month and year, you don’t need a comma. The region experienced record rainfall in March 1999. When multiple adjectives modify a noun to an equal degree, they are said to be coordinate and should be separated by commas. One way to tell whether the adjectives are coordinate is to try switching the order of them. If the sentence still sounds natural, the adjectives are coordinate. That man is a pompous, self-righteous, annoying idiot. That man is a self-righteous, annoying, pompous idiot. The sweet, scintillating aroma of cinnamon buns filled the kitchen. The scintillating, sweet aroma of cinnamon buns filled the kitchen. If the adjectives are not coordinate, don’t separate them with a comma. The adorable, little boy was eating ice cream. The adorable little boy was eating ice cream. Cleo is a good singer but she’s an even better dancer. Cleo is a good singer, but she’s an even better dancer. If but is not joining two independent clauses, leave the comma out. My teacher is tough, but fair. My teacher is tough but fair. Life is, but a dream. When you have a list that contains only two items, don’t use a comma before the and. My dog Charlie is cute, and smart. My dog Charlie is cute and smart. Cleo’s favorite activities are singing on stage, and relaxing in the sunshine. Cleo’s favorite activities are singing on stage and relaxing in the sunshine. When correcting a comma splice, that is when joining two independent clauses with a coordinating conjunction, put the comma before and. When you have a list that contains more than two elements, use commas to separate them. Julie loves ice cream books and kittens. Julie loves ice cream, books, and kittens. Julie loves ice cream, books and kittens. I cleaned the house and garage, raked the lawn, and took out the garbage. I cleaned the house and garage, raked the lawn and took out the garbage. As mentioned above, when you are listing three or more items, commas should separate each element of the list. However, the final comma—the one that comes before the and—is optional. This comma is called the serial comma or the Oxford comma. Whether or not you use the serial comma is a style choice. Many newspapers do not use it. Many trade books do use it. In your own writing, you can decide for yourself whether to use it or not—just be consistent. Keep in mind, though, that occasionally the serial comma is necessary for clarity. I dedicate this award to my parents, Jane Austen and Albert Einstein. I dedicate this award to my parents, Jane Austen, and Albert Einstein. Be the best writer in the office. Don’t separate a transitive verb from its direct object with a comma. I’m glad I trained, Charlie not to beg for scraps. I’m glad I trained Charlie not to beg for scraps. Mary said, she likes chocolate. Mary said she likes chocolate. A nonrestrictive clause offers extra information about something you have mentioned in a sentence, but the information isn’t essential to identify the thing you’re talking about. Nonrestrictive clauses are usually introduced by which or who and should be set off by commas. Posey’s Cafe, which Chester recommended, is a fantastic restaurant. The clause “which Chester recommended” is nonrestrictive because “Posey’s Cafe” is already specific. Identifying it as the restaurant recommended by Chester doesn’t narrow it down any further. My wife, whom I love dearly, is a brilliant physicist. The clause “whom I love dearly” is nonrestrictive because you could remove it and it would still be clear that you’re talking about the same person—“my wife” is already specific. A restrictive clause adds necessary information about something you have mentioned in a sentence. Restrictive clauses are often introduced by that or who and should never be set off by commas. The cafe, that Chester recommended, is a fantastic restaurant. The cafe that Chester recommended is a fantastic restaurant. The clause “that Chester recommended” is essential information in the sentence above. If you removed it, there would be no way to tell which restaurant you were talking about. Correlative conjunctions are conjunctions that come in pairs (such as either/or, neither/nor, and not only/but also) and connect words or phrases in a sentence to form a complete thought. Typically, commas are unnecessary with correlative conjunctions. Either the blue shirt, or the red sweater will look good with your jeans. Either the blue shirt or the red sweater will look good with your jeans. You can wear a pashmina not only for warmth, but also for fashion. You can wear a pashmina not only for warmth but also for fashion. An attributive tag is a phrase like “he said” or “she claimed” that identifies the speaker of a quote or piece of dialogue. Attributive tags can come before, after, or even in the middle of a quote. Use commas to separate attributive tags from quotations. If a quotation before an attributive tag ends in a question mark or exclamation point, however, there’s no need for a comma. “You have a spider on your nose!”, my friend yelled. “You have a spider on your nose!” my friend yelled. “Where did that spider come from?”, I asked. “Where did that spider come from?” I asked. In American English, commas always go before closing quotation marks. “Pass me that thesaurus,” said Matthew. “If you knew what was good for you, you’d sit down and finish that essay right now,” my roommate said. “We’re going down to the soup kitchen to help serve dinner,” her mother called. In British English, however, the convention is the opposite. If you are writing for a British audience, put the comma after the closing quotation mark. Parentheses are used to give additional information to the reader—information that would disrupt the flow of the sentence if written as a nonrestrictive clause. Commas may be placed after the closing parenthesis but not before either the opening or the closing parenthesis. If the sentence would not require any commas if the parenthetical statement were removed, the sentence should not have any commas when the parentheses are added. After opening the new cookie tin, Chester had a hard time replacing the lid. After opening the new cookie tin (and eating several of the cookies), Chester had a hard time replacing the lid. After opening the new cookie tin, (and eating several of the cookies), Chester had a hard time replacing the lid. After opening the new cookie tin (and eating several of the cookies,) Chester had a hard time replacing the lid. Don’t use a comma between an article and a noun. The company managers accidentally scheduled the, weekly meeting for Saturday. A, bouquet of flowers may be created using more than one type of flower. I’ll have an, apple. The company managers accidentally scheduled the weekly meeting for Saturday. A bouquet of flowers may be created using more than one type of flower. I’ll have an apple. When speaking, we often pause while we think of the next word we want to say. In writing, though, there’s usually no reason to add this pause. If you’re writing dialogue and you specifically want to convey a pause here while someone is thinking, use an an ellipsis: I’ll have an… apple. The phrase “as well as” usually doesn’t require commas unless it’s part of a nonrestrictive clause. Please proofread for grammatical mistakes as well as spelling. Spelling mistakes, as well as grammatical errors, are distracting to readers. The phrase “such as” requires commas if it introduces a nonrestrictive clause. Coniferous trees, such as pine and spruce, do not drop their needles in the winter. If “such as” introduces a restrictive clause, omit the commas. Trees such as pine and spruce do not drop their needles in the winter. Using a comma before “too” is optional. I like bananas too. I too like bananas. A comma simply adds emphasis. I like bananas, too. I, too, like bananas.